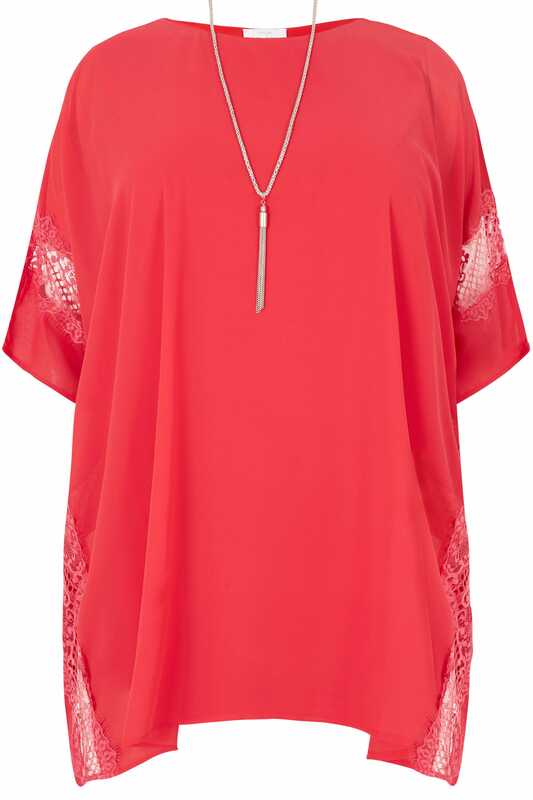 Elevate your evening wardrobe with this stylish top from Yours London. 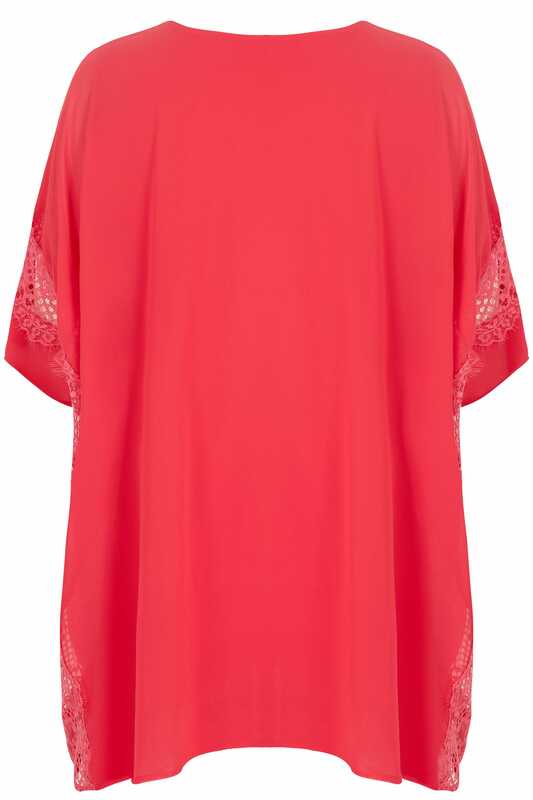 Woven from a lightweight chiffon fabric, it features flattering cape sleeves with delicate lace inserts and a soft scooped neckline. Team with dark denim and a pair of high sandals for a party profile. We love the free statement silver tone necklace!